Every time you open your browser, it’s constantly communicating with servers all across the globe, pulling in their information to display on your screen. Servers are just a term for computers running a specific set of software which allows them to talk to your browser. We’ll look at how exactly this communication happens and why it matters. Any computer can become a server if you installed this software on it – which is exactly what you’re doing when you install MAMP or WAMP, which includes the popular Apache server software. All servers do is serve streams of text characters to your browser. Yes, behind the scenes your browser is talking to other computers in English (mostly). 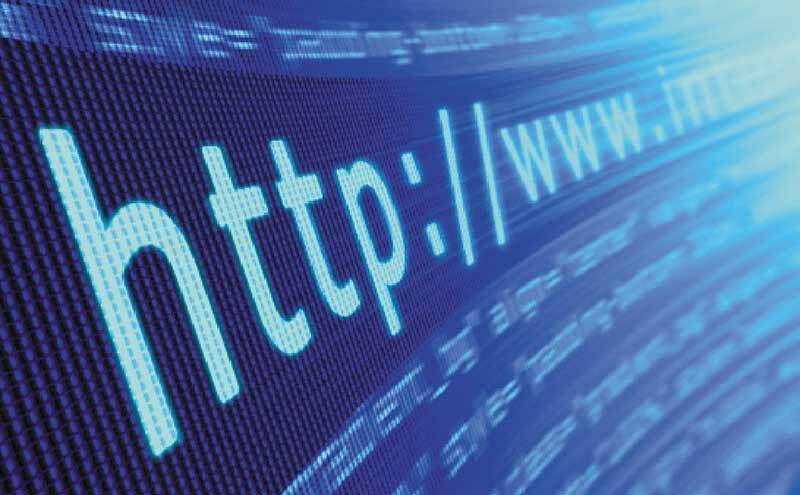 When the internet was first devised, Tim Berners-Lee and his team at CERN created the first version of the HTTP (Hypertext Transfer Protocol) which is accepted today as the most common convention for how computers communicate over the internet. Back in the day, it had exactly one command “GET” which, as you’d imagine, would retrieve a stream of html text from the server and display it on the screen. To this day, most computers on the internet are still using this format to request pages from servers. Billions, or even trillions, of “GET”s are sent every day, and trillions of servers are answering “OK” in response. http:// – This is the protocol we’re going to use. As you may have noticed, http gets used A LOT. Nowadays, https is taking over. It’s an encrypted form of http which is more secure. www.bbc.com – This the server we’d like to talk to. There’s an entire infrastructure on the internet to look up these words and translate them into a machine readable IP address (for example, bbc.com resolves to 151.101.36.81 which is the unique address of one of the servers that is run by the BBC). /news/science_and_environment – This is the page we’d like on the server. It gets sent to the server in the HTTP request so that it can look up that specific page for us. Press ‘enter’ twice after the last line to tell the server you’ve finished your request. Note that any character you type gets sent immediately to the server, so if you mistype, you can’t backspace! It may be easier to copy and paste the lines directly into your terminal, depending on how quick your typing skills are. Lets take a closer look at this line for a minute, as it’s the most important. The server is letting us know that it acknowledges that we want to use HTTP version 1.1, and it agrees and will also use HTTP version 1.1 to respond. These are known as Headers, and you’ll notice that you actually sent one of your own with the request. HTTP Headers are very useful, and when they come back from the server they will let your browser know information about the page, like how many bytes long it is, what language it’s in and how it’s encoded. They also instruct the browser to do things like redirect you to a different URL, store a cookie on your computer, cache this webpage for future use, and so on. The BBC server reports that it’s running Apache server software. The BBC server is requesting that our browser store a cookie for it (the Set-Cookie header). This cookie is very long-term and should only expire 4 years from now. It’s only valid for the bbc.com server and any pages on that server. From now on, the browser will send this cookie through back to BBC’s server with any new HTTP GET command if we ask for more pages from bbc.com. Your browser is also free to send Headers with the GET request. Your browser can let the server know that it has cookies stored from the last time it visited, or that it has the ability to compress and uncompress the data so the server can send back the response in a ZIP compressed format and it will understand how to decode that. Okay so what is this good for? This is a screen from Firefox’s Developer Tools, specifically the “Network” tab. It’s showing the initial HTTP request we made to load /news/science_and_technology. You’ll see it’s indicating a status of 200 OK for that initial request, and showing all the headers received back from the server. So we saw how browsers and servers communicate using pretty much plain English most of the time, and that this is almost never seen by any human eyes! This is communication over the internet in its most basic form. As the net has evolved, new layers of features and complexity have been added on top of good old HTTP. Nowadays most HTTP traffic is encrypted using HTTP over SSL, more commonly known as HTTPS. The next version of the protocol, HTTP/2 has already been developed, and addresses many of the shortcomings of the first version. However it’s never easy to shift an entire internet over to a new protocol overnight. Thankfully that means our newly gained knowledge of the HTTP protocol will still be valid for some time to come.